In 2007, Steve Jobs and Apple launched the very first iPhone, reshaping the mobile and digital industry landscapes. This new device was opening a field of possibilities for the mobile industry . In July 2008, few days after the launch of the App Store, Apple announced 10 million application downloads. Organisation seeing the opportunities offered by small software started soon enough developing their own “app”. Everyone knows what happened next: native applications, hybrids, social networks, games, news… No one was left out. To the great displeasure of the non-mobile websites which the traffic kept going down since then. The figures speak for themselves, mobile users spend 92% of their time on mobile apps and only 8% on browsers…Thanks to app downloading, offline features, full-screen mode or even store reference, applications are much more used. 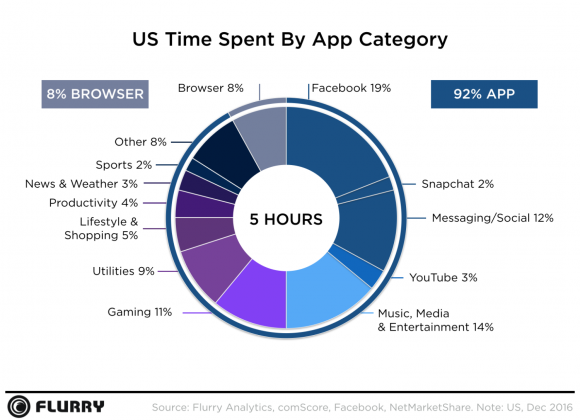 Looking a little closer at the numbers, we found out on which apps users spend their time. To summarize: users spend most of their time on Facebook, Messenger or Snapchat. 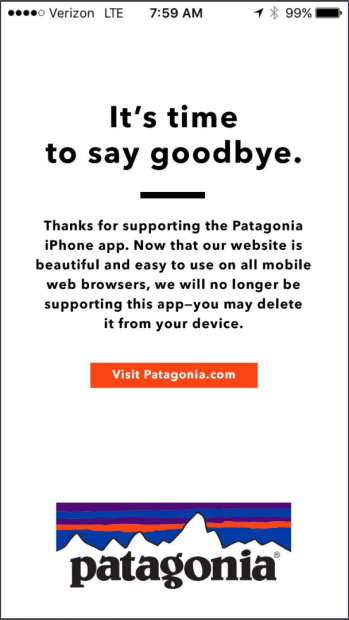 So, indeed mobile apps won…but not yours. 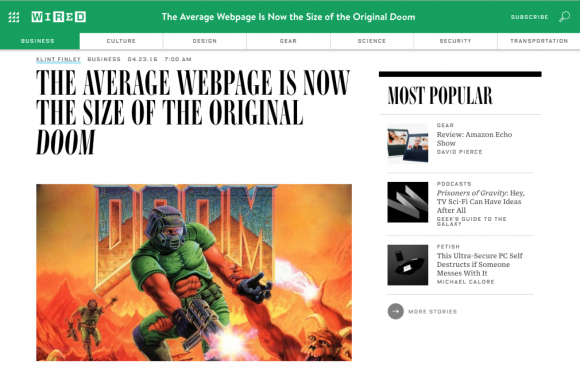 Fortunately, Responsive web Design comes to websites’ rescue. But, only applying the three principles of responsive web design basics is not enough. UX Design, WebPerf, Accessibility, many elements to take into account to make the user experience relevant. The website has to adapt to the device and not the other way around. If the website is too slow or the display is not suited for mobile devices, the result is clear: you lose the user. The website is often too slow compared to the user expectation. But why? 2) Because it embarks too many elements? 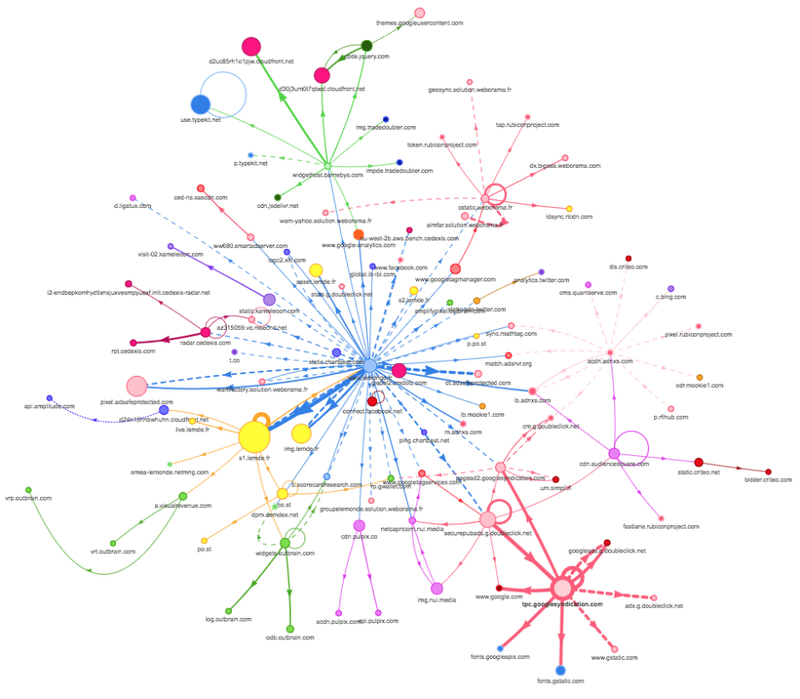 On our graphic representation generated by requestmap.webperf.tools we can perceive that the website lemonde.fr usesa good number of trackers, widgets, adverts,…Which adds many DNS requests and a few hundred kilos on the scale of complexity. It is the foundation of a website. A good code and a well-thought architecture enable the best path to performance. Adjusting the previous element while optimising the architecture and development of the website. Limiting as much as possible repeated loading from identical sources by managing application caches. If a cache can be optimized by ensuring that the interface is downloaded at each visit (or even at each request) and only the content is updated. The system will no longer dependent on the traditional caching mechanism. The service workers and PWA to the rescue of websites. However, please note that Service Workers are only available if the site is HTTPS. To sum up: only new data is loaded from the server (requests are managed by the Service Worker), the interface of the website is reused from the cache. This advance allows the Web App to work in offline mode. Therefore, brace yourself for Progressive Web Apps! Beyond the cache, what other features? 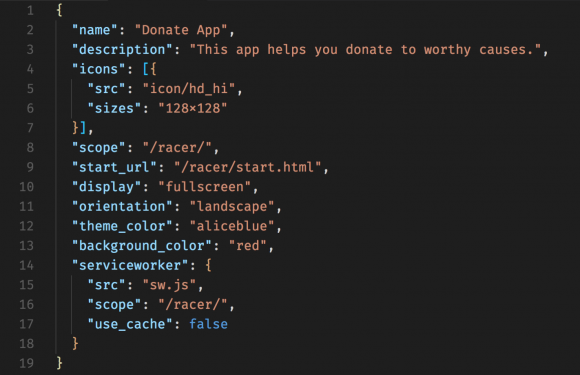 A lot of APIs has been made available to developers in order to fill the gaps in websites with regard to applications: Web App Install Banner, push notifications, referencing, simplified payment systems … PWAs arrive with their toolboxes ready for use. Reading media on the site. New API allowing the server to send a message to the browser via Service Workers. This feature can be based on an intermediate service such as Pushcrew or Sendpulse. Push messages can be used to display notifications, but can also “only” update PWA data. The advantage of the solution: the browser does not need to be open to receive these messages. 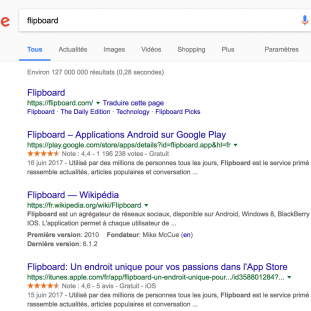 Google and other search engines are already functioning as a store for PWAs, which are in the end “regular” websites. An API that facilitates online payments. The browser matches the expectations of the site and the payment means configured by the user. This API is not yet available in all browsers but is very promising. Apple does not seem to be in a hurry to add Progressive Web Apps support to its Safari browser. The California firm is potentially reluctant about this technology, which could shade its App Store. Of course, one might want to override this by using another browser than Safari on iOS, but since other browsers actually rely on the Safari engine, farewell Service Workers and PWAs for iOS device users. Update of August 3, 2017: The development of Service Workers in Webkit (and therefore Safari) seems to have finally started, so the hope of having them in a few weeks, or months at worst, grows. 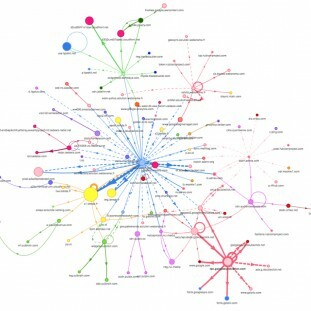 For those who have tried the experiment, the results speak for themselves: in the image of Lancôme, which you were told in the article “PWA, the craze is becoming clearer”, the French cosmetics brand has increased its Conversion rate of 17% thanks to the redesign of its site in PWA (and the associated UX works, of course). However, as Boris Schapira said in his article: “(Web) Apps: there is no silver bullet” the PWA does not go to everybody. Various factors have to be taken into account: the sector of activity, the type of use, the development and resource needs … It is necessary to study in depth the subject and to rely on the solution most appropriate to its activity.